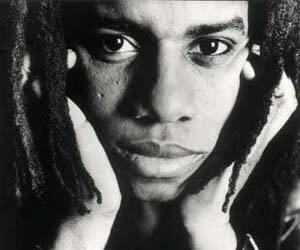 Since "Black Skin, Blue Eyed Boys" through "Living on the Frontline", Eddy Grant has been recognised as a vociferous promoter, through socio-political commentary, of the culture and achievements of contemporary black people. Eddy's meticulous method of recording is to a great degree responsible for his reputation - he has played every single instrument, sung every vocal part and produced every track on all of his solo albums - a time consuming and little known fact, which only a man of his committed vision could so painstakingly ensue. 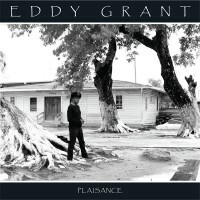 Born in the Caribbean nation of Guyana in 1948, Eddy was exposed during his childhood to the distinctive sounds of African and Indian music which is indigenous to Guyana along with the music of the surrounding countries such as Surinam and in particular Trinidad and Tobago. 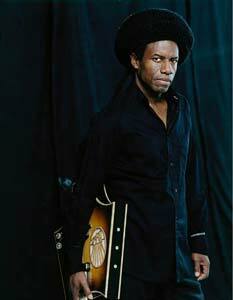 As a pre-teen, his musician father moved the family to Kentish Town, North London. In the stark, post-war period (from 1960 onwards) suburban environment, he was exposed to the rock and roll of Chuck Berry and the nascent pop music scene. 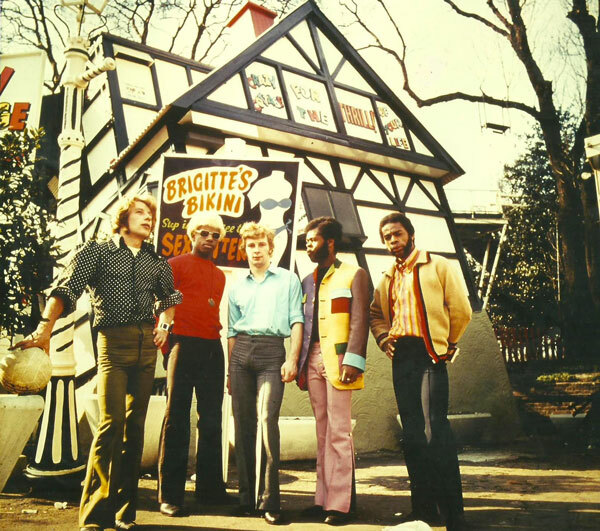 This early combination of ethnic and commercial pop influences culminated in Eddy founding the Equals, probably the finest and certainly the first multi-racial pop/rock outfit to achieve international acclaim. The Equals topped the chart with their classic "Baby Come Back" and with Eddy as songwriter, lead guitarist and producer, they went on to achieve three more major top 10 hits in the following 18 months. At 23, the pressures of his hectic recording and touring schedules took its toll. Though a tea-totaler and a staunch vegetarian, Grant suffered a severe heart attack which forced him to undertake a major evaluation of his future. He canceled all touring activities and eventually had to leave The Equals. During the ensuing period of introspection, Eddy opened his own recording studio in order to record at his pace and to help cultivate the careers of other artists he had discovered. Subsequently, during the 1970's, he began the process now crystallized in his more recent albums to merge the influences of early pop, rock and soul with the calypso music of the Caribbean countries and the African rhythms of his childhood, to form a unique hybrid - the influential sound of Soca music. Grant recorded what is generally recognized by the cognoscent as the very first Soca record "Hello Africa" and this remains a classic golden oldie in many parts of the world inhabited by Soca aficionados. He has successfully fostered leading Soca artists such as Gabby, Superblue, Black Stalin, David Rudder, and Grynner, and thanks in no small part to Eddy Grant's patronage, soca music now enjoys an expanding popularity in all corners of the world. Grant's enthusiasm and devotion to his musical heritage continues. He recently acquired the record and song catalogues of Calypso legends: "Mighty Sparrow", the "Roaring Lion" "Atilla The Hun" and "Lord Kitchener" among a multitude of other great Classic Calypsonians from the Golden Age of Calypso, in order to personally preserve, and to introduce to a wider audience, this historic and important musical heritage. This passionate interest in African rhythm and Soca, and his individualistic style has put a lasting influence on a range of other artists, as diverse as Sting, UB40, The Rolling Stones, and even The Clash who covered his "Police on my Back" for their celebrated 'Sandinista' album. 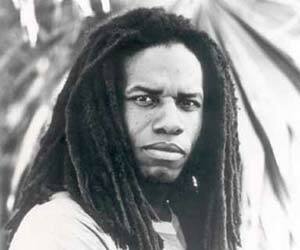 Commercially, the first half of the 1980's was enormously successful for Eddy Grant; in less than four years he enjoyed eight major international hit singles, including the US#1 - "Electric Avenue" , "I Don't Wanna Dance" and "Romancing the Stone". By that time he had established his own label, Ice Records, with which he astutely avoided the pitfalls of many long since formed, failed and forgotten independent labels, by occasionally tapping into the distribution muscle of the major companies (viz. Phonogram, Virgin, RCA, CBS, EMI and Warner) without ever losing control of either his music, or his destiny. When the mid-eighties pressure of his solo success again threatened to compromise his newly defined game-plan, Eddy moved his family back to the Caribbean , not to his birthplace of Guyana , but as a compromise with commercial reality, to the island of Barbados , where communications with the outside world were more highly developed at that time. Here, he again built a commercial recording studio complex known as Blue Wave, whose clients have included Mick Jagger, The Rolling Stones, Sting and Elvis Costello. It's where the Rolling Stones prepared for their Gargantuan "Steel Wheels" tour. His excursions from this temporary sanctuary have been mainly for live performances at such events as the "Sport Aid" stadium show, groundbreaking concerts in Yugloslavia, Hungary, Cuba and South America, and the "Farewell to the GLC" concert which he headlined on the banks of the River Thames in London. The dawning of the New Millennium saw him performing via satellite to the rest of the world, from an event held in Tobago called The Ringbang Celebration 2000 Today. However, his studio is at the center of his drive to record, promote and market Classic Calypso, Soca and 'Ringbang'. This new genre that has taken the Caribbean by storm; a distinctly Caribbean musical concept that Grant has developed, that he loosely defines as a "bridge between rhythms, focusing one's attention on rhythm and the part it plays internationally. What Ringbang seeks to do is envelop all the rhythms that have originated from Africa so that they become one, defying all geographical boundaries." It also carries with it a philosophy conceptualised for the Caribbean People in particular the Youth, though it may be applied to any group of people. 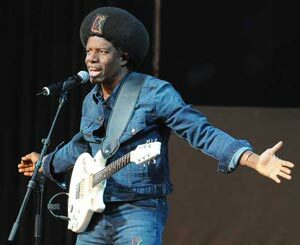 Over the past fourteen years Eddy Grant has been assiduously acquiring all the old calypso catalogs of such greats as Roaring Lion, Mighty Sparrow, Lord Kitchener and Lord Melody. At the same time, the label has been signing a number of today's hottest Soca and Ringbang exponents. As Grant wrestles with the day to day problems of setting up a profitable recording company as President and CEO of his company, he must confront sales, promotion and marketing nightmares, the direct consequence of the traditionally seasonal aspect of Classic Calypso, Soca and Ringbang. He asserts that music pirates in the Caribbean and the United States are the biggest culprits, keeping the production and packaging quality down. However, he is passionately committed to the artists and the music of the region, and believes that with proper management, these artists can indeed finally start to profit from their artform. With offices in Barbados, London, and the United States, Ice Records has become in a few short years the premier international Classic Calypso, Soca and Ringbang record label. The company is aggressive and does continuous marketing research to determine what will make these genres, the last "unexploited" English-speaking music in the world, the mega-hits that they surely deserve to be. In 1995, Gabby's "Dr. Cassandra and Roaring Lion's "Papa Chunks" broke the previous sales records many times over. As Eddy says, "in my heart, I know that Soca and Ringbang have the same potential as reggae to achieve great popularity... but there has never been any proper commitment to marketing these artists and their music. We are not Sony, and the artists on board realise it will take time. It is an upliftment process." Without a doubt, this music has finally found someone prepared to put his money, time, talent and, perhaps most importantly, love, right there where his mouth is.